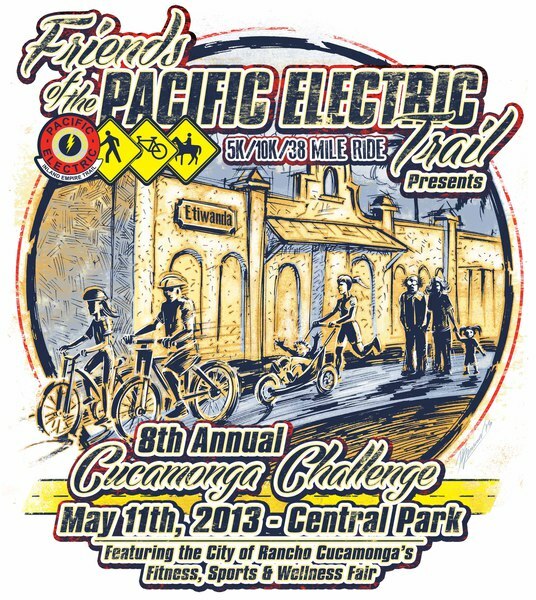 Friends of the Pacific Electric Trail presents the 8th Cucamonga Challenge in support of the Inland Pacific Electric Trail. The Pacific Electric Trail is now 21 miles long running from Claremont to Rialto and is such an asset to all the communities. The Cucamonga Challenge is apart of Rancho Cucamonga’s 2nd Annual National Physical Fitness Month activities.